19 Sep 2017. 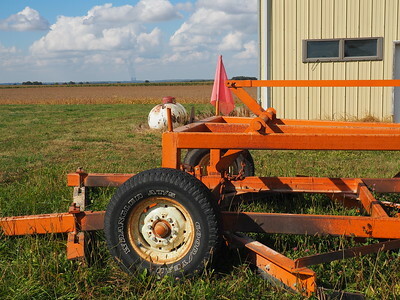 Mendota to Rockford, Illinois. 69 miles. 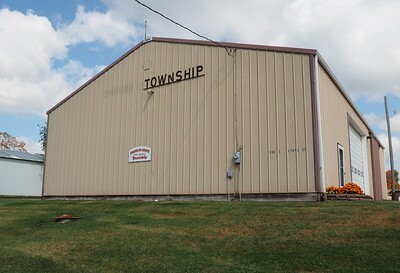 Five (5) township halls. First stop: Sublette Township Hall/Garage in Sublette, Illinois. On the way into Franklin Grove from the south, after having crossed I-88. I expected to find a China Township building on my way into Franklin Grove, but found this instead. Wikipedia explains that in 1994 the name was changed from China Township to Franklin Grove Township. Not all trace of the word "China" has been obliterated, though. 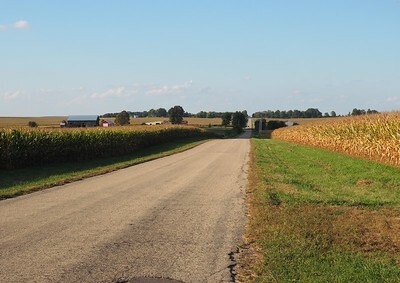 Heading east on Stone Barn Road. 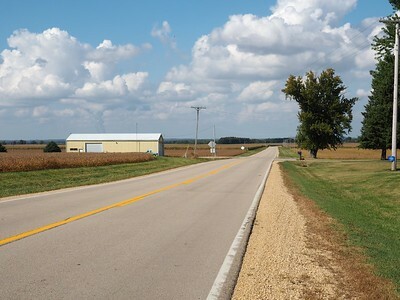 Still heading east on Stone Barn Road. 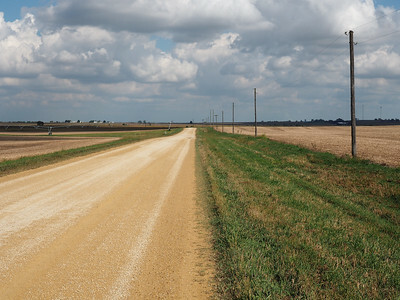 The road doesn't end up ahead; instead it jogs to the left at the township boundary, and then resumes its way east. It's a place where the surveys of section lines of one township didn't quite match those of the adjoining one. There are a lot of those places in southern Michigan. They become less common further west. 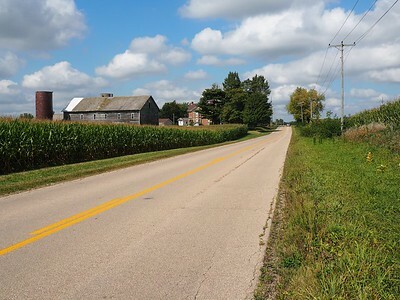 I had just turned off of the Lincoln Highway to South Chana Road. 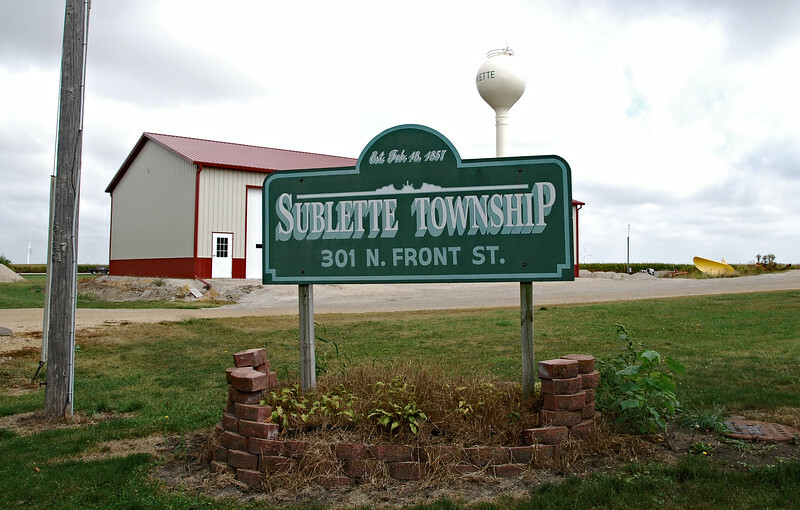 The Lafayette Township Garage is ahead on the left. In the distance are the twin cooling towers of the Bryan Nuclear Generating Station near the Rock River. 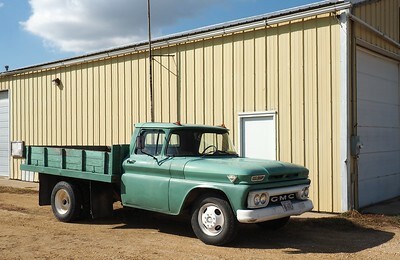 There was no township insignia on this truck, but whether or not it belongs to the township, it was nice for it to be parked where a person could enjoy looking at it. This historic marker is a head scratcher. The significance is unclear. 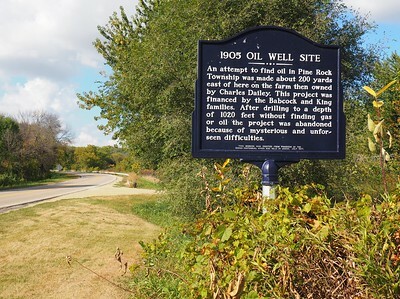 Maybe it was an amazing feat to go to 1020 feet with the drilling technology of the time, but if that's why a historic marker was merited it would be nice for it to have said so. 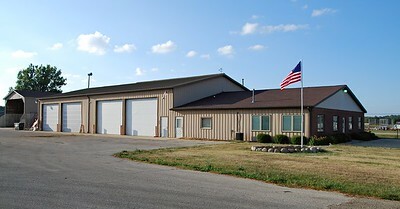 Pine Rock Township has a township hall as a separate building from the garage (which is next door). These buildings are in the village of Chana. 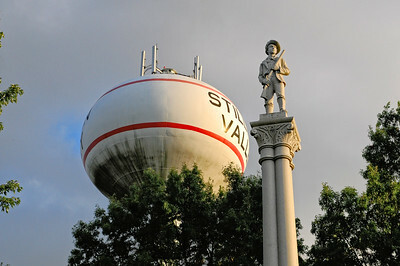 It's three miles from here to Stillman Valley, to the north. Maybe some of the militia soldiers who fled from Black Hawk's counterattack at Stillman's Run in May, 1832 came running this way. Probably so, since they ran in a lot of directions - mostly south, away from Black Hawk. 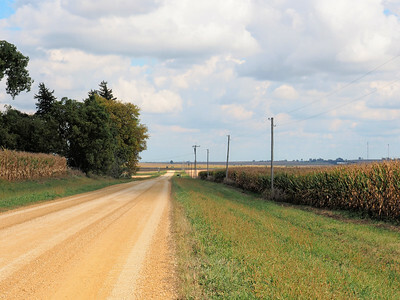 The road from Byron (not the way I had come) enters Stillman Valley here. 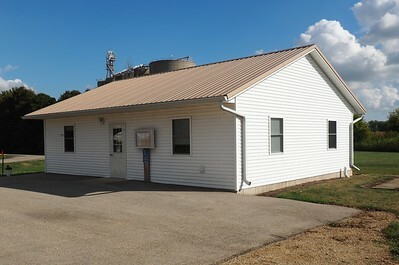 The Marion Township Hall is on the right. 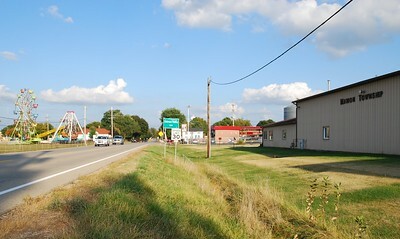 As seen from the southeast. 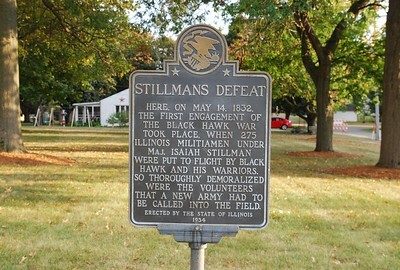 Marker at a park in Stillman Valley where there is a monument to the soldiers involved in Stillman's Defeat. Those killed in the fight are buried here. 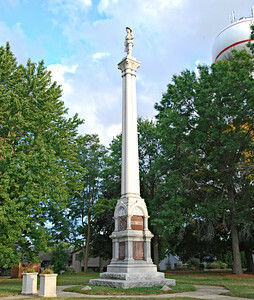 A monument to the militia soldiers who were at Stillman's Run. 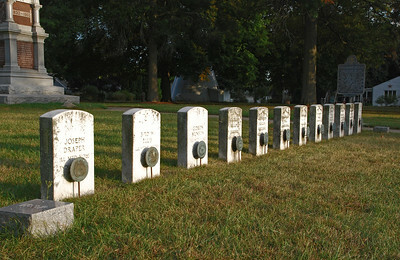 Gravestones for militiamen who were killed at Stillman's Run. One of the panels at the base of the monument. 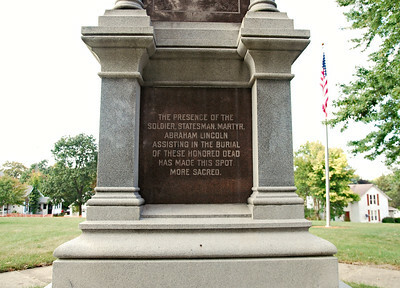 Lincoln had been elected captain of a militia company from Springfield.